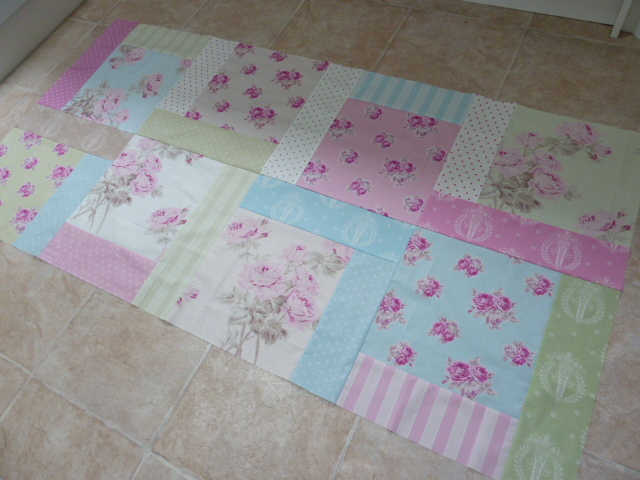 I’ve called the quilt I’m making for daughter Bed of Roses and I’ve half-finished the quilt top. These are definitely not my style of fabrics but I’m quite pleased with the result so far. Take a look. 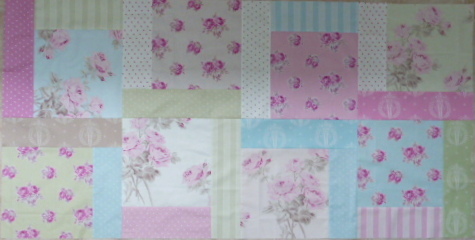 Love this quilt, very pretty and cuddley. Great pattern for those large prints. Looking forward to your class. lovely… the pattern and fabrics are perfect for each other.